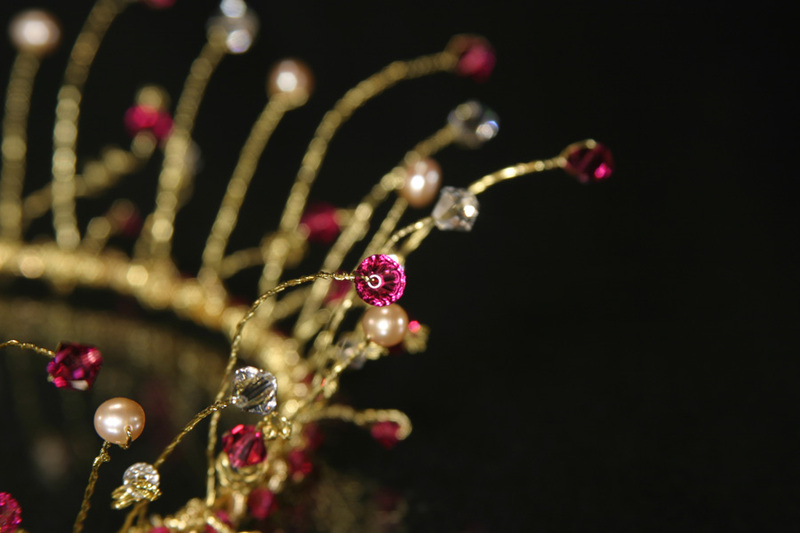 Beautiful full crown in a romantic tudor themed design of 22ct gold plated band woven with 22ct gold plated wire and Fuschia & clear Swarovski Xilion crystal, teamed with delicate Rose fresh water pearls. 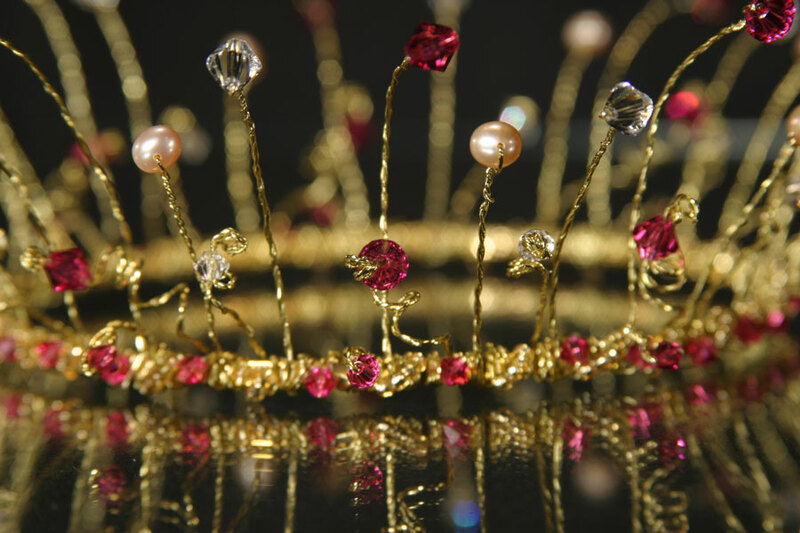 For the bride who wants to be a queen on her wedding day. 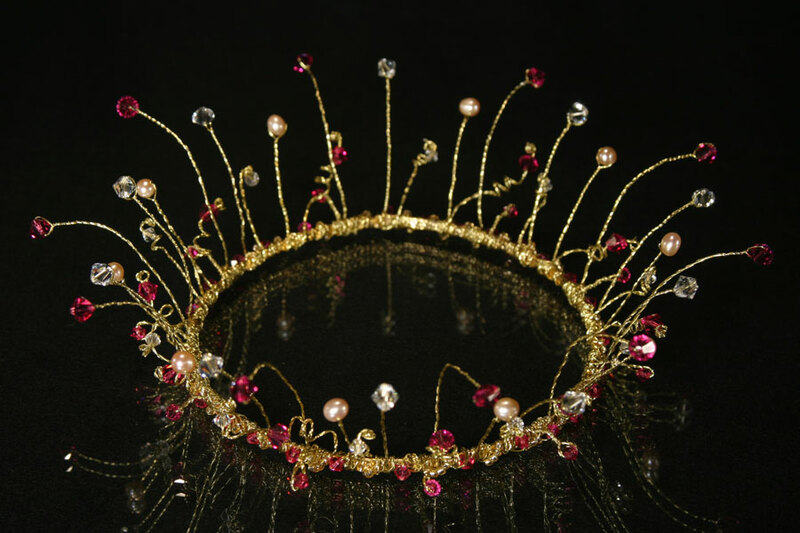 Like this – its ready to ship today.